The famous motorcycle rally - 'Thunder in the Glens' returns to Aviemore for it's 20th Year. 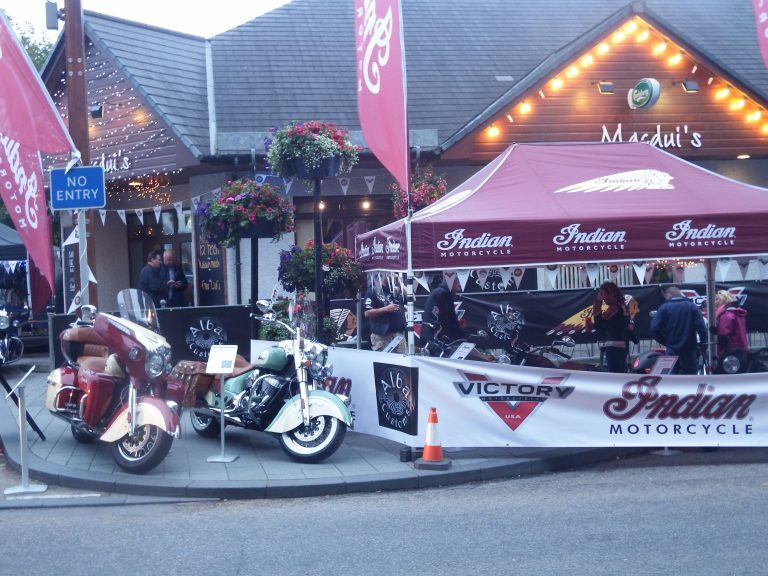 Join Alba Customs at the wonderful MacDui's Bar, Grill & Restaurant for a weekend of Motorcycles, fantastic food, entertainment and to catch up with friends - old and new. We will be coming up with the Indian and Victory demo truck. Test rides on Indian Motorcycle and Victory Motorcycles will be possible over the weekend. ** Please remember to bring your driving licence and National insurance number (also your riding gear) if you want a test ride. 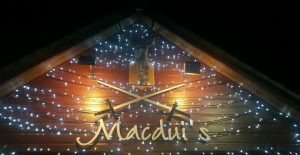 Clothing and merchandise will be available to buy from us, and of course hearty home cooked locally sourced food, whisky, cocktails and beer from Jo and her team in MacDui's. The Thunder in the Glens ride out is a sight to see, and even better to be a part of, with a ride through the back roads of the Cairngorm National Park stopping off in nearby Grantown on Spey - a beautiful, charming town with some buildings dating from the 1760s. Highland Hospice. The Highland Hospice is the only hospice serving adults with incurable life limiting disease in the Highlands of Scotland and are acknowledged as a resource of specialist palliative care expertise in the region. Last year we raised around £400 for the Hospice! So come along and let us soap off the Highland Midges, and return your bike to it's sparkling glory! Thunder in the Glens has become one of the major motorcycle events in the UK, with people travelling from all over the world to enjoy the weekend event. Enjoy the thrill of riding through the scenic mountains and glens, experience world famous Scottish hospitality and come catch up with friends old and new; all with the added bonus of seeing and experiencing it all on a Motorcycle.